Women make up 45% of all NFL fans, 30% of NBA fans, and 30% of MLB fans. And what do 62% of all sports fans have in common? Children. Stadiums committed to being truly inclusive need to ensure an environment that meets the needs of all their guests. A crowded stadium filled with cheering fans and alcoholic beverages makes for a fun time, but it’s not an ideal space to breastfeed. And for moms who left their babies at home, It’s an even tougher place to find an appropriate place to plug in a breast pump. These ten MLB Stadiums recognize that today’s parents want family-friendly stadiums--especially moms who are breastfeeding or pumping. All the stadiums on Parents' list provide a clean and private dedicated lactation space to pump breast milk or breastfeed. Which means they're looking out for their mom fans too! 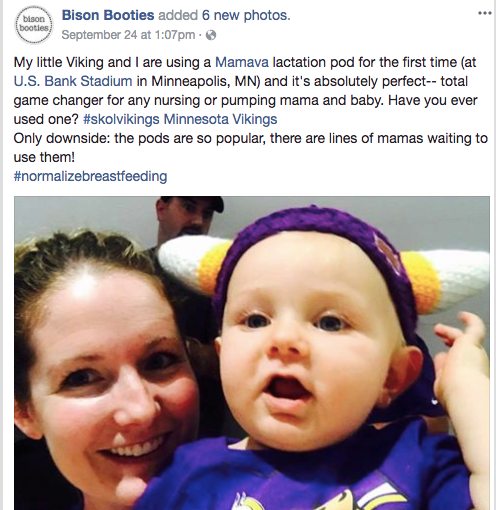 Offering lactation spaces for fans is not only a game-changer, it's a win-win: breastfeeding mothers have a dedicated space at the games, and stadiums earn the love of loyal moms across social media. And guess who’s nourishing the next generation of diehard sports fans?